The best of both worlds on Lake Bryant! BRING YOUR HORSES AND YOUR BOAT! 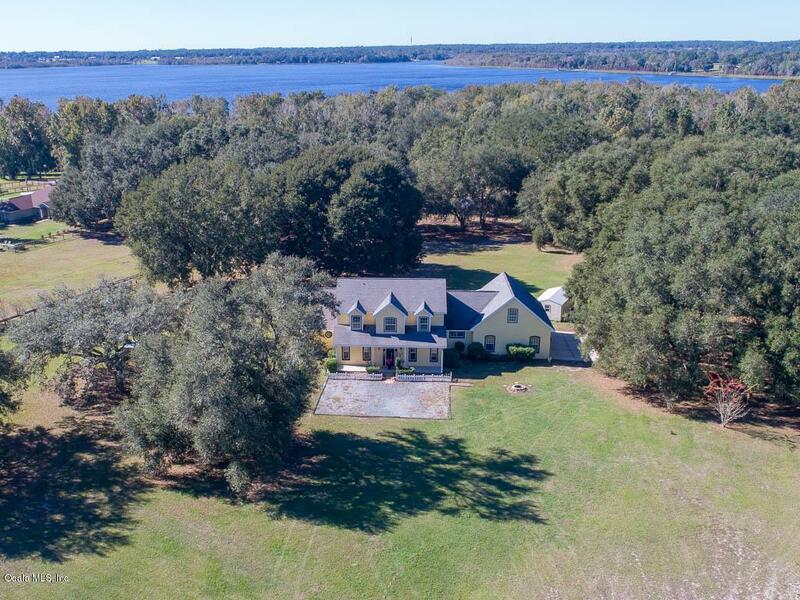 This unique waterfront acreage is graced with gorgeous Granddaddy Oaks and wild game and offers an abundance of space to roam, ride, boat or fish! 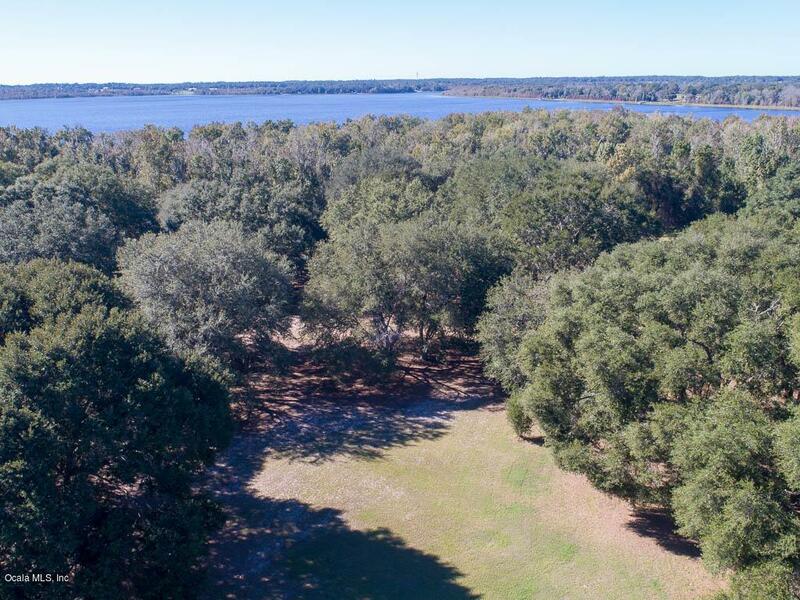 Located just outside of Ocala but yet close enough to amenities, this recreational 14 acre property could be yours to enjoy the deer, ample flocks of turkey and the outdoor lifestyle that Central Florida has to offer! The spacious 4,088 square foot home features a soaring ceiling, beautiful staircase and colorful stained glass transom in the foyer along with a large living and dining room. Bring the entire family as this adorable storybook home offers 5 bedrooms, 2 of which have their own ensuites, Another bedroom ideally set up as an in-law suite comes with it's ownbath and family room! 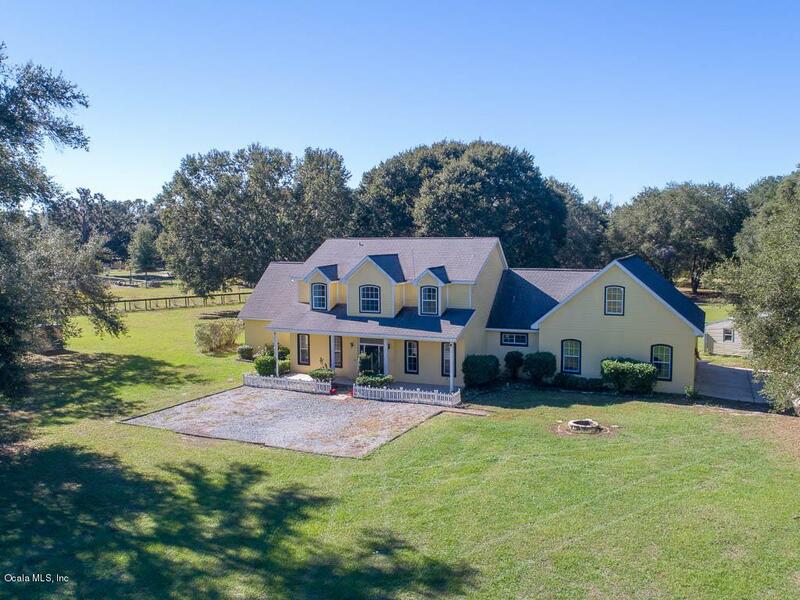 Perfect for work or play is an awesome upstairs bonus room that overlooks the lovely manicured property which is completely fenced and perfect for your horses. 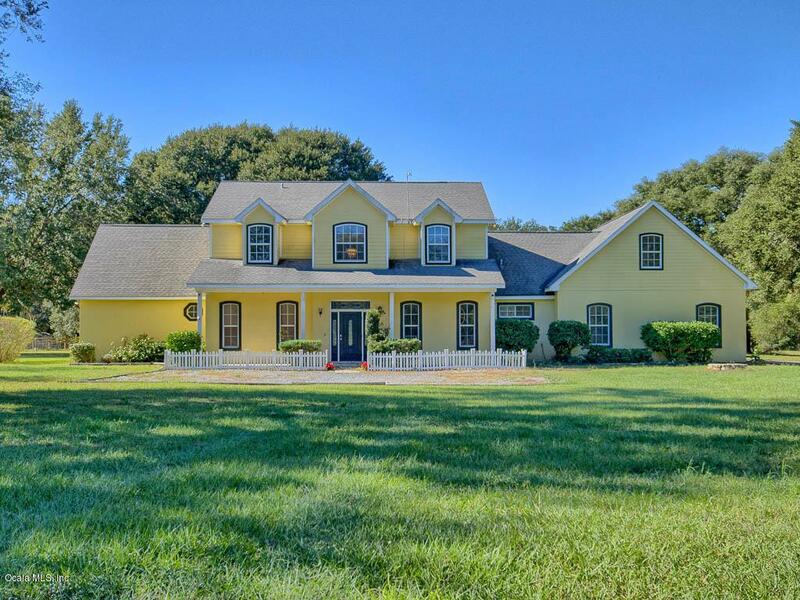 A peaceful and serene property with plenty of space inside and out!